We often keep the flooring material at the bay when the building is being constructed and ignore those issues like the flooring is the important part of the commercial building and all those tables, chairs and other heavy materials would be dragged and held by it over a long period of time. Isn't that a necessary part to examine and construct a good quality flooring while the commercial building is being constructed. However, hiring an industrial floor contractor can be a good option and it could well lead to have good industrial flooring. If the industrial flooring is constructed using cheap material and wrong and bad skills, then, it would be quite expensive in later stages. 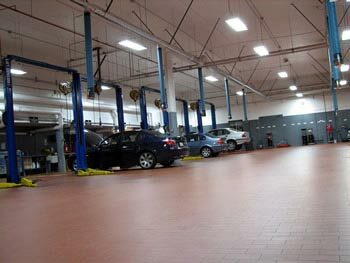 Due to wear and tear, the flooring would need lot of materials to be replaced and high maintenance. Hence, these issues of industrial, commercial, warehouse, shop, and factory flooring need to be addressed when choosing good quality flooring for commercial and household purposes. And few more issues include the maintenance cost and the age of the flooring. There are few adhere flooring materials that can keep the flooring alright and increase its versatility for decades. 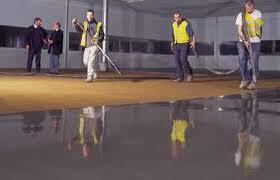 And Industrial Epoxy floor coating is the best among them and could easily provide too many benefits to your flooring. Industrial Epoxy floor coating can protect the concrete flooring from all kinds of toughest damages from oily solution, chemical solvents, and environment situations to all kinds of weather situations. The concrete flooring could be saved from all kinds of wear and tear by binding the surface with the Industrial Epoxy floor coatings. These reasons are quite sufficient to reveal why those epoxy floor coatings are used in the surface of hospitals, institutes, commercial buildings, other etc. Industrial Epoxy floor coatings also impart beauty to the floor surface and help cover those normal gray colored concrete flooring. Commercial cement floor coatings also involve application of paint on the flooring to prevent all kinds of moisture content and dampness. However, it is quite a uphill tasks as selection of bad and dull colors could actually turn the flooring look tedious. So, you need to hire a good quality Industrial Flooring Contractors who could direct and paint the flooring and can save the flooring from chemical solvents and fungus. Industrial Flooring contractors would also suggest on using the right material for making the flooring slip resistant and prevent any injuries. Industrial Epoxy floor coatings can prevent any stain on the surface and fungus penetrating inside the flooring surface and create cracking issues. 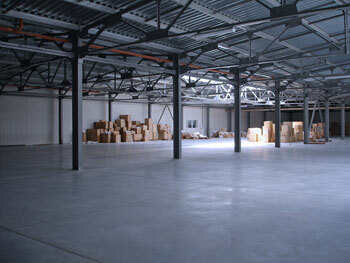 Industrial Floor contractors should be hired immediately if you discover or detect any damage on the flooring. If those small issues are delayed and not fixed quickly, those hair line cracks would accelerate and the whole flooring could be damaged altogether. Commercial floor repair work including Epoxy floor coatings are the best way to bind the flooring surface and prolong the age of the flooring surface. Industrial Floor Painting can also make the surface look beautiful and attractive and also provides a classic look to the flooring surface. If you are located in Ohio State Cleveland and Cuyahoga County area and need any Industrial Flooring Contractors for flooring surface issues, contact www.clevelandbricksandmortar.com and get solution to all your Flooring problems. Whether you need a simple repair or need a more complex construction job, our expert craftsmen can create the solution you are looking for. 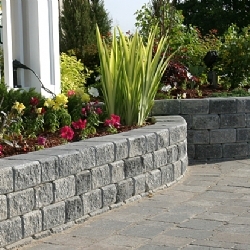 With 30 years in the business, we are licensed, bonded, and insured, and guarantee your satisfaction. Use decorative touches for your business the way you use granite countertops, recessed lighting, and natural wood cabinetry to beautify the interior of your home. 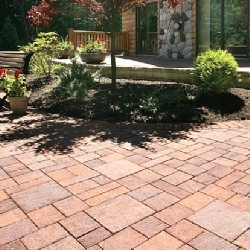 Add Elegance with Colored, Stamped, and Patterned Concrete, or Brick, Stone, Block, Inter-Locking Pavers, Flagstone, or Tile. View the photos on this and associated pages for ideas. The opportunity is yours. The costs are modest. We specialize in smaller to medium size, multi-discipline jobs that need to be executed while your shop is still running. We can supply demolition teams, concrete and masony tradesmen, carpenters, and painters with experience in floor coatings. For more complex needs, we can engage architects and engineers to provide you the assurance that your job is being handled correctly and according to all building specifications. Those darn trucks. You make the dock out of steel and concrete and big swatches of rubber, and they still get banged up. We have tradesmen who can fix it up for you -- professionally repaired, whatever it takes. As above, we can bring in carpenters, masons, electricians, concrete specialists, painters, and whatever other skills are necessary to get the job done. Whatever your special needs might be, we've probably done it before, and will do it properly for you.